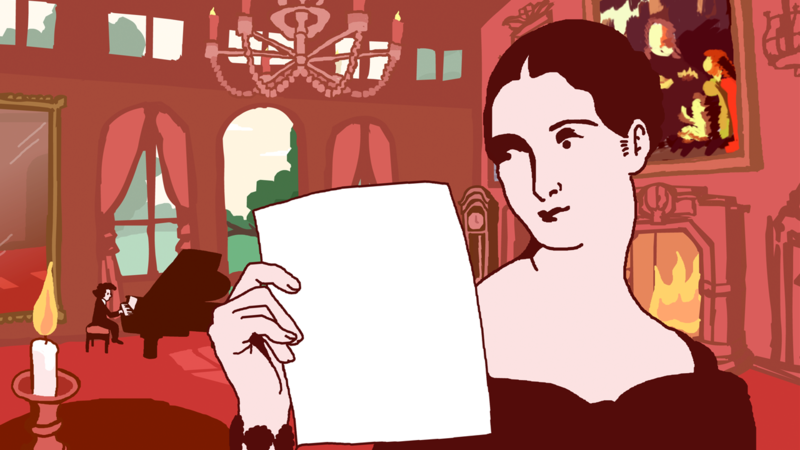 "Inspired by a library that used to be a villa frequented by some of the most prominent Italian painters, writers and politicians, The Mads Garden is a game based on historic research, comedy, and the love for Milan's northern neighbourhood of Affori. 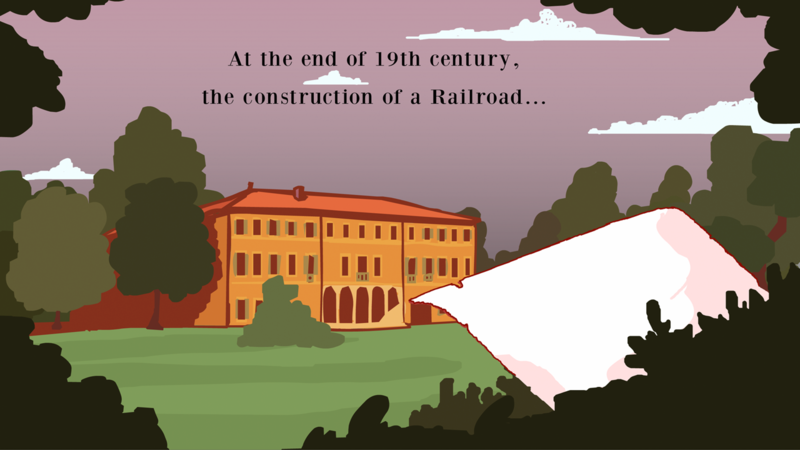 The Player travels back 200 years and plays the poet Alessandro Manzoni, who visited the villa in the summers. 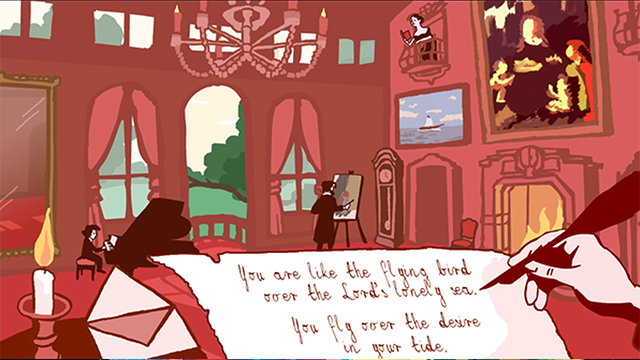 The game is about taking inspiration from the objects available in the ballroom of the villa, and dedicate poems to one of the characters visiting the villa, including Giuseppe Verdi and painter Francesco Hayek.The game was developed in collaboration with Major Bueno, as part of the Tour Bueno initiative. Faeatured on oujevipo http://oujevipo.fr/general/4191-the-mads-garden/"